Can Your Faith Help You Age Well? Home AgeWise Can Your Faith Help You Age Well? Between 2010 and 2011, I interviewed women over 60 to understand their experience of aging and the impact their religious beliefs had on how well they aged. It was a study conducted for my doctoral dissertation on spirituality and aging. I wanted to understand how someone’s faith impacted their experience as they aged. The results were amazing. I conducted in-depth interviews with women from across north Georgia who lived as far south as Newnan and as far north as Waleska. These women differed from each other in a number of ways. Some were married, others were widowed or divorced. Some were white, some were African American. Most were mothers and grandmothers but a few had no children at all. Some happily embraced the use of Botox or sculpturing or hair coloring while others refused to try any anti-aging products. They came from a wide range of socioeconomic levels and lived in very different homes. Some were working, some had retired, and some were into encore careers. But the women in my study had one thing in common. They all were part of a common religious community and shared a similar spirituality. I recruited the women from three different church congregations in the Atlanta metro area. The beliefs they had in common were these: They believe that God is within each individual. Their faith maintains that through conscious choice of thoughts, words, and behaviors, they can tap the divinity within to change the circumstances of their bodies and their lives. They believe that rather than being simply human, they are spiritual beings having a human experience. And they have an understanding that there is an eternal reality beyond what the five senses can perceive. So how does such a spirituality affect the way in which these women age? How do their beliefs impact their ability to cope with the challenges faced as they grow older? That was what I set out to explore through this study. 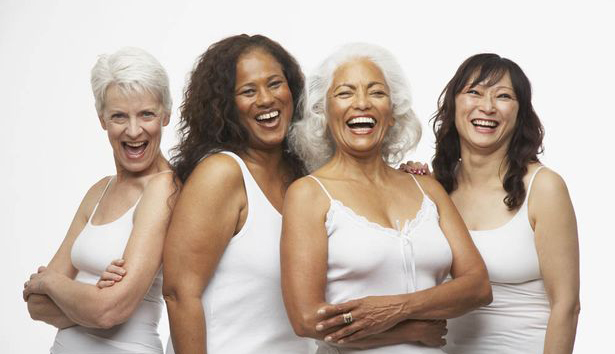 First, the women feel personally responsible for the circumstances of their lives and find meaning in aging challenges. One participant said, “You can create the reality you want.” Some would call this optimism or a form of positive thinking. Interestingly, research shows that both contribute to better aging and health.